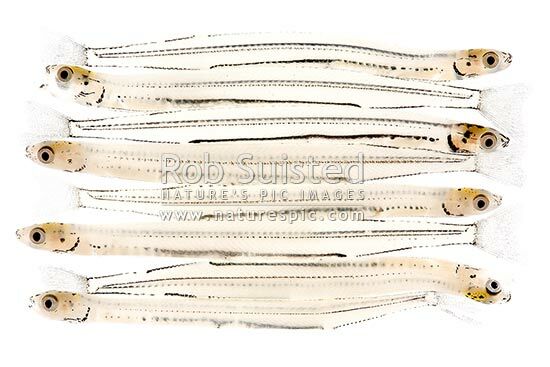 Whitebait, juvenile or larval form of the inanga or adult whitebait fish returning from the sea to rivers. NZ delicacy (native galaxid Inanga species Galaxis maculatus etc). 40mm long, New Zealand (NZ), stock photo.